James Marion Long, of Stubblefield, engaged at that point in the general merchandise business and also holding the office of postmaster, is one of the well-known and highly esteemed citizens of Bond county. He has spent his entire life in this district and is very loyal to its institutions. His life record began October 26, 1874, on his father's farm situated about a mile and a half north of Stubblefield. His father. Thomas Jefferson Long, was a native Tennessean. his birth having occurred in Knox county, that state, April 19, 1846. His youth was passed in Tennessee and several years before he attained to his majority the outbreak of the Civil war disturbed the even tenor of life in the United States. He was a patriotic young fellow and uninfluenced bv the sentiment of the section in which he lived and when he enlisted it was as a member of the Seventh Tennessee Regiment of the Federal army. 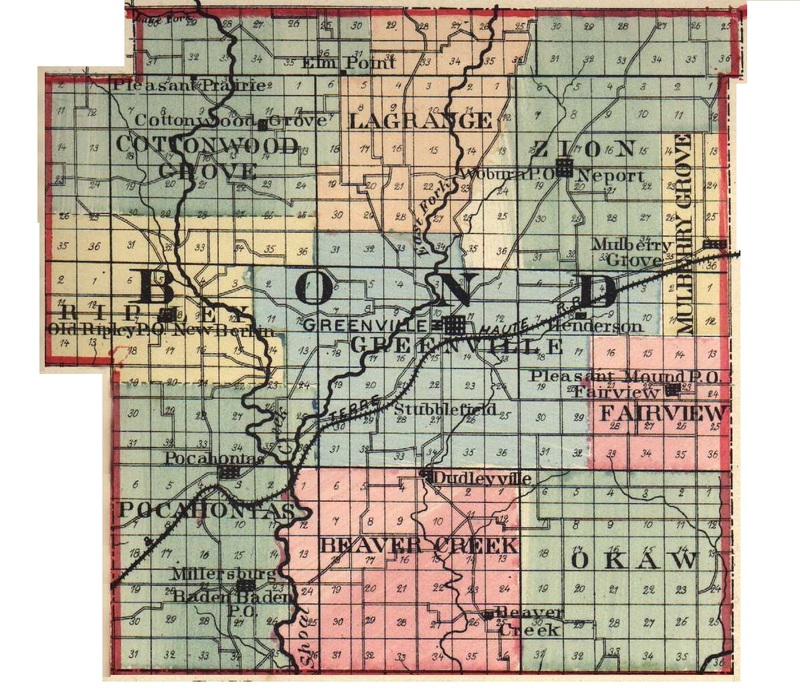 In 1869 the elder Mr. Long removed to Illinois and located near the Smith's Grove settlement. Here in 1872 he married Caroline Watkins of Bond county, Illinois. To their union were born six children, the eldest of the number being James Marion, immediate subject of this review, and only two brothers survive besides himself, namely: John Finesse, a farmer in Bond county; and William Thomas, also a Bond county agriculturist. Both Mr. and Mrs. Long survive, making their home on their farm near Stubblefield, and happy in the possession of many friends and the respect of the community which for nearly half a century has had them in its midst and found them in every way desirable citizens. The father is actively engaged in farming. In politics he has always given allegiance to the "Grand Old Party," and although too young to vote for Father Abraham, to whose call he so cheerfully answered, he has supported with his vote all succeeding candidates. As a member of the Grand Army of the Republic he renews association with the comrades of other days and he and his wife attend the Baptist church. The boyhood and youth of James M. Long were spent in Bond county on his father's farm, where he became well-grounded in the many departments of agriculture, and to the country schools he is indebted for his education. He found occupation after his school days as an assistant to his father in his agricultural endeavors and continued thus engaged until September, 1901, when he opened a general merchandise store in Stubblefield. In the same year he was appointed postmaster, and the office he still holds after the lapse of ten years, his services having ever been faithful and efficient. His mercantile business has steadily increased since he opened his store and he has trade from all the surrounding farming country. He also owns a small farm of twenty-four acres, which is under successful cultivation, and has forty acres in Alabama. He is a Republican in politics and a Baptist in religion. He is unmarried and makes his home with his parents. Extracted 10 Nov 2018 by Norma Hass from 1912 History of Southern Illinois, by George W. Smith, volume 3, pages 1321-1322.